FRESH and old faces made it to the 16-man pool formed by national coach Tab Baldwin from where members of Sinag Pilipinas competing in two international tournaments in the coming three months will be culled. Reigning UAAP Most Valuable Player Kiefer Ravena, Bobby Ray Parks, Kevin Ferrer, Garvo Lanete, Mark Belo, and naturalized player Marcus Douthit are among those who were named by Baldwin and his coaching staff to the pool following a four-day tryout involving 25 invitees that concluded Thursday at the Philsports Arena. All six were part of the Sinag Pilipinas team that retained the basketball gold during the 2013 Southeast Asian Games in Myanmar. Lanete’s inclusion however, depends on his quick recovery from a recent injury. 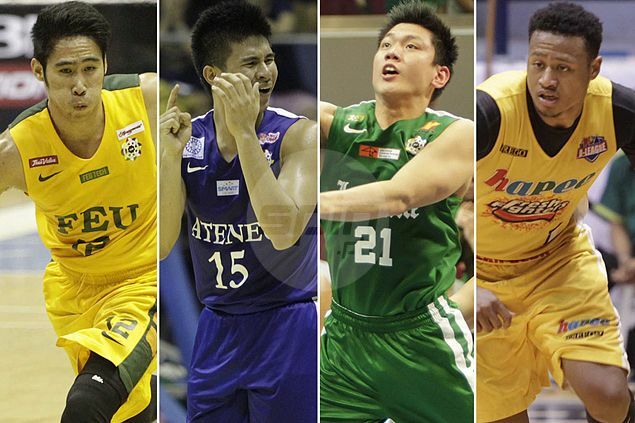 Among the new ones who were made part of the pool were Jeron Teng, Baser Amer, Jiovanni Jalalon, Glenn Khobutin, Thirdy Ravena, Prince Rivero, Troy Rosario, Scottie Thompson, Norbert Torres, Arnold Van Opstal, and Almond Vosotros. The final 12-man lineup will represent the team to the SEA Games in June and the Southeast Asian Basketball Association (Seaba) Championship in April, which serves as the qualifier to the Fiba Asia Men’s Championship this September in China. Baldwin’s coaching staff includes deputies Nash Racela, Josh Reyes, Mike Oliver, and Jimmy Alapag. Both the SEABA and SEA Games will be held in Singapore. The team plunges to work immediately on Monday night from 8 to 10 p.m. at the Meralco gym for the start of its month-long practice for the Seaba meet. The former New Zealand and Jordan coach, appointed recently to handle the Gilas Pilipinas squad aiming for a 2016 Olympic slot in Rio de Janeiro via the FIBA Asia Championship in China, said he was “very impressed” with all the players invited to the tryouts. The FIBA Asia Championship in Hunan, China in turn serves as the regional qualifier to the Brazil Olympiad next year. “The future of Philippine basketball looks very promising,” said Baldwin, who is also in the process of forming the men’s team made up of PBA players backstopped by either Douthit or Andray Blatche, Gilas Pilipinas’ naturalized center in last year’s FIBA Basketball World Cup in Seville, Spain. The Samahang Basketbol ng Pilipinas (SBP) is reaching out to all the parties concerned, from the players’ respective coaches, schools, clubs and leagues, to rally support for the Gilas Cadet program under SBP President Manny V. Pangilinan.